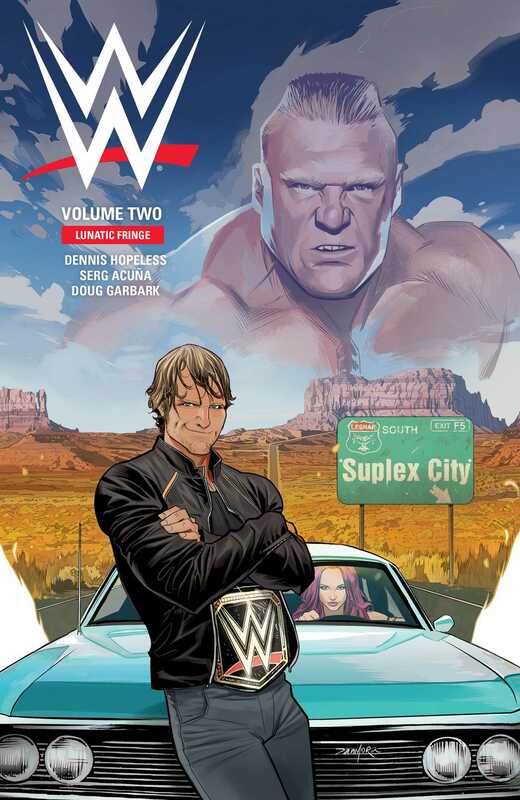 Continuing the Shield trilogy, WWE Volume 2 follows the most unhinged former member of The Shield: Dean Ambrose. Dean Ambrose is bluecollar toughness personified. He’s not the biggest guy in the ring. He’s not the strongest. But you have another thing coming if you expect him to stay down. If that were all, that would be enough. But Dean Ambrose is also known as the Lunatic Fringe and naturally he’s going to run into trouble while on the road traveling from one gig to another. Dean may have bitten off more than he can chew when he finds himself face-to-face with the beast incarnate Brock Lesnar on the path to WrestleMania. Welcome to Suplex City, Dean. Enjoy your stay.